Lara W. traveled 100 miles to attend the Noir Magic Class. You saw the in process photo in the last post. Today I received a photo of her first finished piece. Lara added and blended Prismacolor pencils with the gel pens. The piece reminds me of a story book or a fable and certainly reminds me of illuminated manuscripts. Well done Lara! I think it’s beautiful. What do you think? Categories: Blog | Tags: artistic artifacts, Gel Pens, Illuminated Manuscript Letter, peacock, sakura | Permalink. My students excel beyond anything I can teach them. I give them some pens and black paper and try to give a way to start out slowly. Then they jump into the deep end on their own with joy and create beautiful work. It always astounds me. I need to come up with a different name for the class in the future because it’s never strictly Illuminated Letters. Any ideas for a new class name welcomed. Showing here many process shots and having the hope that my students will send me photos when they finish at home. Thanks to Artistic Artifacts for the wonderful art community. Categories: Blog | Tags: artistic artifacts, Gel Pens, Illuminated Manuscript Letter, sakura pens | Permalink. I’ve been on a bookmaking binge using black Artagain paper and Sakura Gelly roll pens. At the first Illuminated Book Class I taught a lovely student gave me a blank small handmade book and I filled it up with gel pen drawings. I continued making books of my own, and started cutting and punching through some of the pages. It’s fun to see something evolve like this. You never know where a technique will take you so it’s good to stick with it and see what happens. The next Illuminated Letter Class is September 9th at Artistic Artifacts. Come along for the journey where I’ll be sharing all these techniques and more. Categories: Blog | Tags: Drawing, Gel Pens, handmade books, sakura gelly roll | Permalink. Judy’s Altered Minds JAMS group meets Sunday, June 25, 2017 at 1pm at Artistic Artifacts in Alexandria for Artist Trading Cards, then for the general meeting. The 2.5″ x 3.5″ trading card collages were made by cutting up some of the gel pen drawings I’ve recently made. 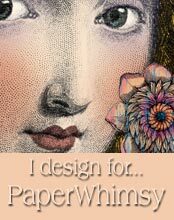 Categories: Blog | Tags: artistic artifacts, ATC, black paper, Gel Pens, sakura gel pens | Permalink.